Arizona is terrifying. Between its creepy-crawly rattlesnakes, horrid Gila monsters, unnerving black scorpions, and its almost-unbearably high temperatures, the Copper State is a pretty scary place to live. And as if that is not frightening enough, Arizona’s Wild West past and haunted history gives us even more reason to go hide under the covers. 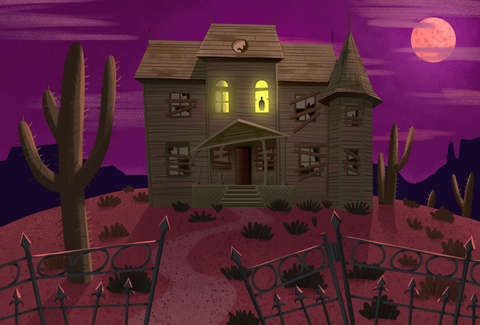 Sure, you can stand 110-degree heat and ride out haboobs, but can you brave these Arizona haunts? Constructed in the 1920s, the Orpheum Theatre is no stranger to paranormal activity. Take the inexplicable death of its original owner Harry Nace, whose demise was ruled to be caused by two mysterious gunshots. Then there’s the ghost named “Maddie” who reportedly whacks guests on the head and has even been caught photobombing snaps. Guests have also spoken of unexplainable purring, said to come from the theater’s resident cat. While the latter doesn’t sound so scary, we’d rather not be whacked on the head by a disgruntled ethereal being. 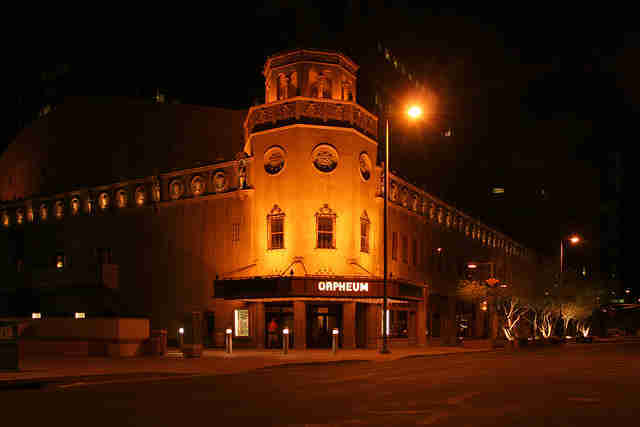 Ghost chasers can experience the paranormal activity firsthand, as the Orpheum Theater offers ghost tours throughout October for those bold enough to venture into the dark corners and normally off-limits spots said to be haunted by spirits. A faceless nun who levitates in the courtyard is just one of the apparitions visitors have witnessed when visiting the Cathedral of Saint Augustine. And she wasn't a one-off, either. 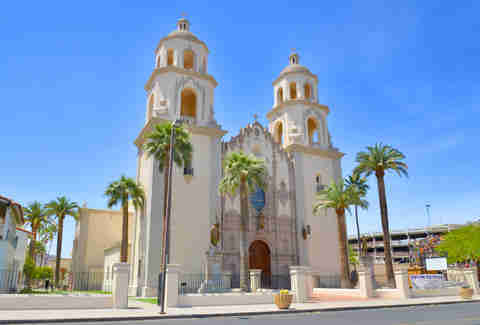 Apparently there have been numerous sightings and reports of the same experience from old churches around the globe, which makes sense since the Tucson cathedral was built in 1896. Yuma Territorial Prison's population was made up of thieves, murderers, and the occasional polygamist, and over 111 inmates died here, making it one of the more ghoulish state parks in Arizona. To this day, guides at the park report feeling a “cold chill” when passing by Cell 14 -- where John Ryan, imprisoned for "crimes against nature," committed suicide. Even more unnerving is The Dark Cell, which is exactly what it sounds like: a dark crypt where rowdy convicts were sent for acting up. Accounts cite that two inmates, who were literally chained to ring-bolts up here, had to be urgently transferred an insane asylum upon their release from isolation. More recently, one reporter tried to spend two days in the Dark Cell. She didn’t make it past 37 hours, and cited she felt she wasn’t the only one in the chamber. 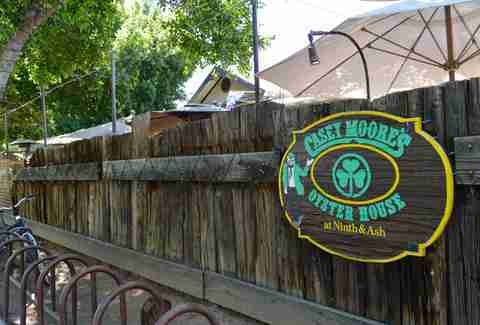 This Tempe drinking spot on Ninth and Ash has quite the storied past. Constructed over 106 years ago, it has served as a private residence, boarding house, and possibly a brothel, if all the rumors are true. Nearby neighbors claim witnessing a dapperly-dressed couple dancing throughout the upstairs bedrooms in the middle of the night. It’s speculated that the duo may be specters of the original owners of the home, Mary and William Moeur. 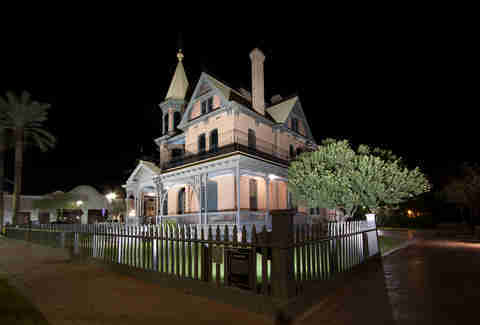 Other regular sightings include the ghost of an Arizona State University student who lived in the boarding house. Apparently the young woman with black hair and light eyes suffered from an untimely death at the hands of a temperamental would-be suitor. Unexplainable locking doors. Phantom heat emitting from cold fireplaces. Ghost sightings. It all happens at the Rosson House in downtown Phoenix. The bewitching, towering brick-clad Victorian home was constructed in 1985, and frankly, it looks pretty creepy from the outside. Today the hair-raising Rosson House is a museum, but the stories of unearthly happenings, like footsteps coming down the stairs, continue. Eyewitnesses suspect that these are the footsteps of a former caretaker who was shot and killed outside the downtown Phoenix mansion in the 1980s. 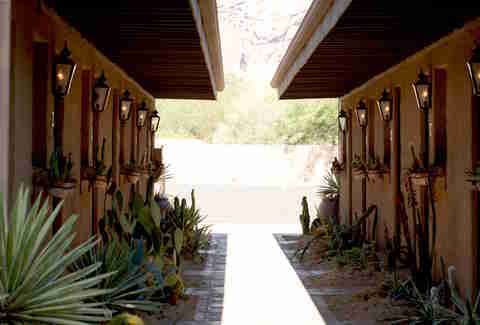 Once called Casa Hermosa, this former residence and studio of cowboy artist Lon Megargee has a supernatural story behind it. Although Lon departed in 1960, his spirit can reportedly still be spotted around the Paradise Valley property. Staff at the now resort often proclaim, “Oh, Lon must have done that it,” when tequila bottles fall off the shelves or candlesticks fall from their holders and other items unexplainably move themselves. Not all of them stick around, either. Accounts claim that one maid quit after multiple instances of doors shutting on her while cleaning casitas. Another relinquished her duties after witnessing a cowboy hat in the mirror. Upon turning around to inspect the scene, there was nothing there. 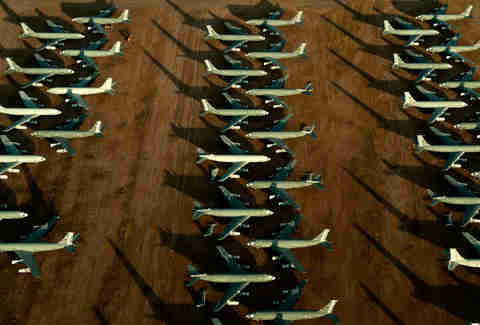 The largest aircraft boneyard in the world, Davis-Monthan Air Force Base in Tucson is regarded as one of Southern Arizona’s creepiest places. And it’s no wonder why. 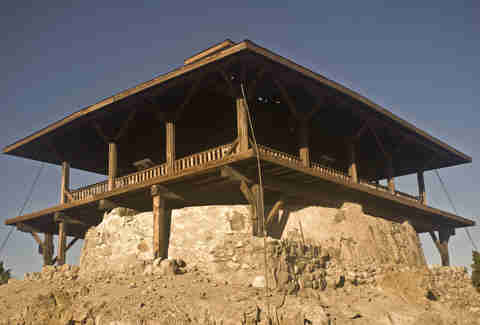 Established in 1925, the old base serves as a resting place an estimated 4,400 retired military aircrafts from wars past. Numerous accounts report that a pilot dressed in WWII-era garb likes to wander in and around the airfield. According to these same claims, patrol lights tend to malfunction, and the mysterious pilot is said to walk directly through the security fences. 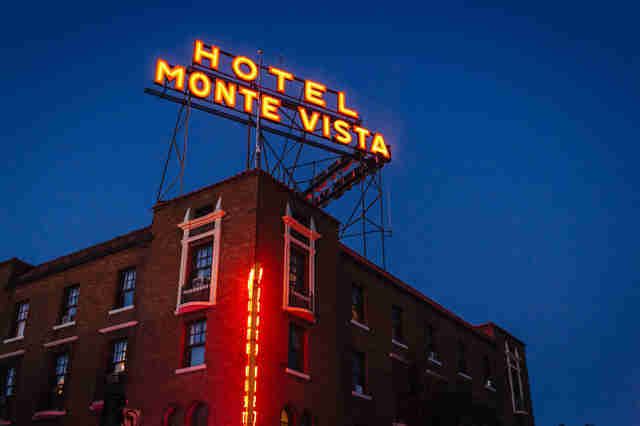 Creepy encounters are routine at Hotel Monte Vista in Flagstaff. There are nearly a dozen documented cases of peculiar going-ons. Room 220, for instance, was once the home of The Meat Man -- a weird long-time boarder who hung meat from his chandelier, died in the '80s, and was found three days after his demise. Guests who spend the night in his old particular room report the touch of cold male hands, and the television is said to act on its own accord. Then there’s Room 306, where two 1940s prostitutes were once beckoned inside, killed, and thrown three stories down from the window of the room. Today, visitors have disclosed sleepless nights in Room 306, and men have reported feeling as if hands were placed over their throats and mouths, incapable of breathing. Planning a spooky road trip? Check out the rest of our state guides to the Most Haunted Places in Georgia, Michigan, North Carolina, Ohio, Pennsylvania and Texas. Lauren Topor is a writer based in Phoenix who is very creeped out right now. Follow her on Twitter @laurentopor.